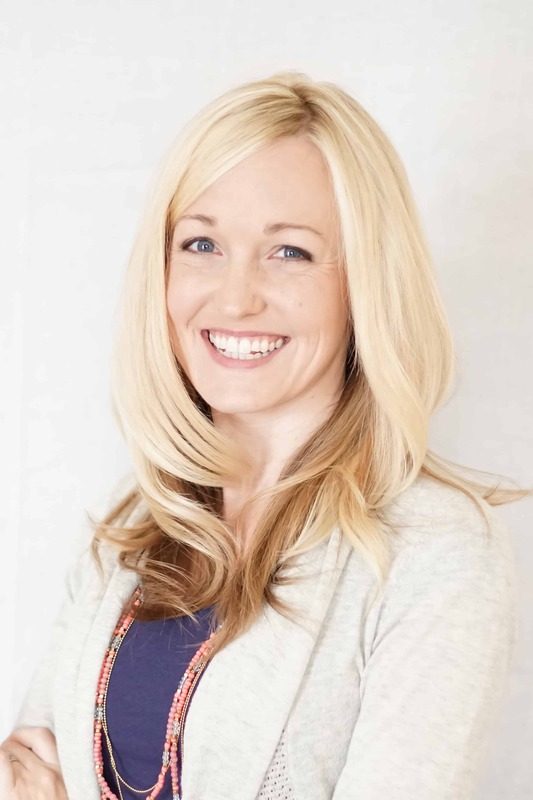 Fall is in full swing and we are in need of all the fruits and veggies we can get into our bodies to keep us healthy and so today I am really thrilled to share my recipe for a Strawberry Oatmeal Smoothie Bowl! 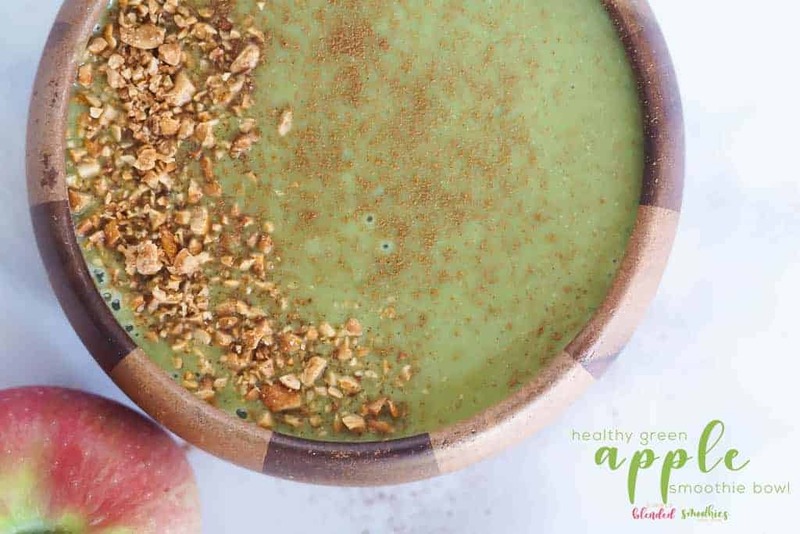 My Green Apple Smoothie Bowl is another delicious smoothie bowl perfect for the fall season that you should definitely check out too HERE. 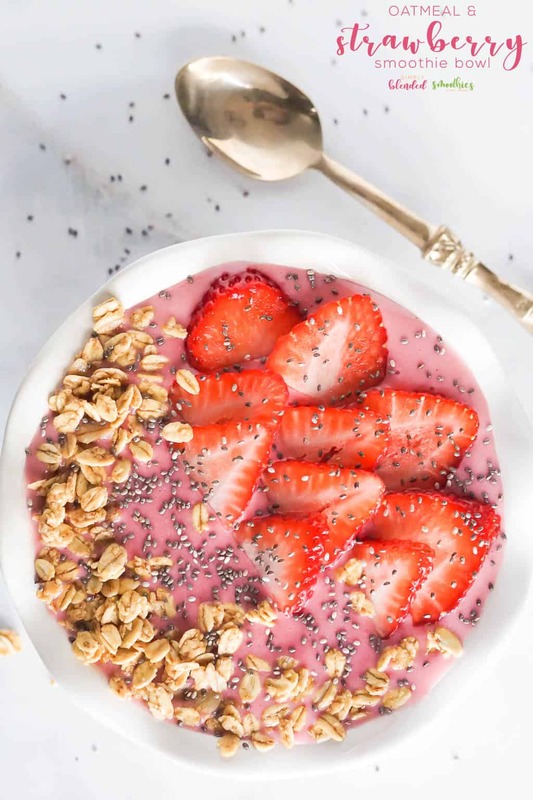 But this Strawberry Oatmeal Smoothie Bowl is so filling and delicious while being the perfect breakfast for a busy fall morning. Keep reading to grab the full recipe. 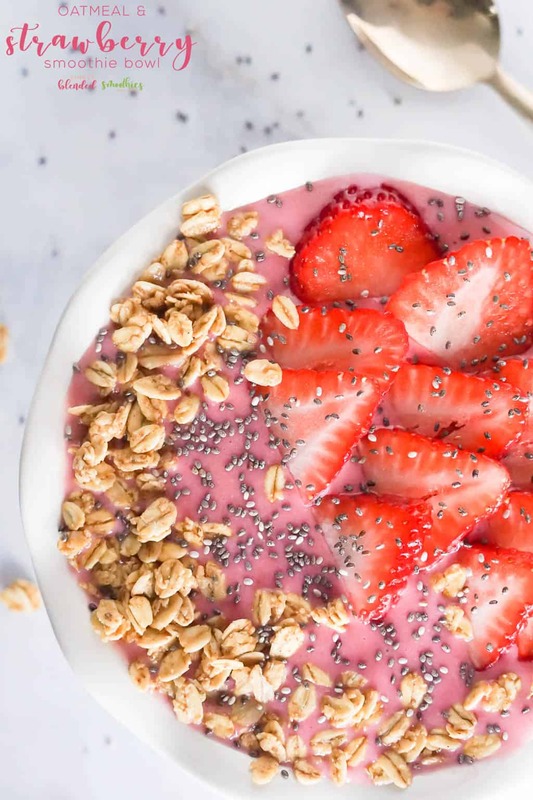 This strawberry oatmeal smoothie bowl may feel like not a typical fall/winter smoothie bowl, but honestly, it is perfect since most of these ingredients you can keep on hand in your freezer! So it is really easy to make any time. 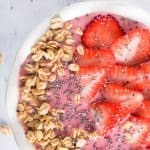 What is in a strawberry oatmeal smoothie bowl? 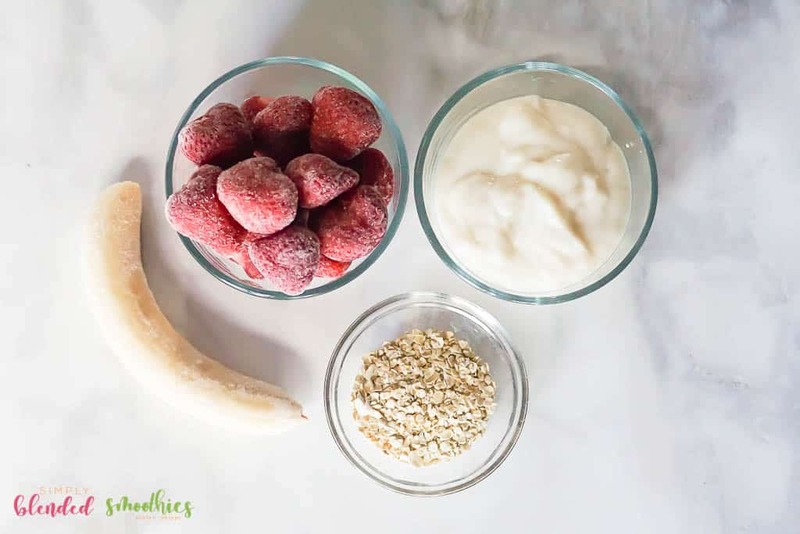 A strawberry oatmeal smoothie bowl is super easy to make by combining a frozen banana, frozen strawberries, yogurt, oats and coconut milk in a blender and blending until smooth. You can add the toppings of your choice but I love granola, chia seeds and fresh strawberries. Yum yum yum. 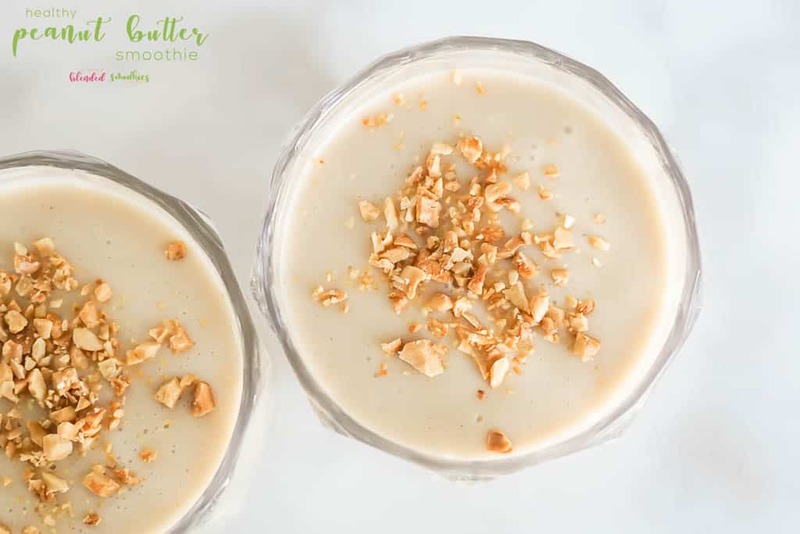 A smoothie bowl is similar to a smoothie, but instead of drinking it through a straw, you will need a bowl and a spoon to eat it! 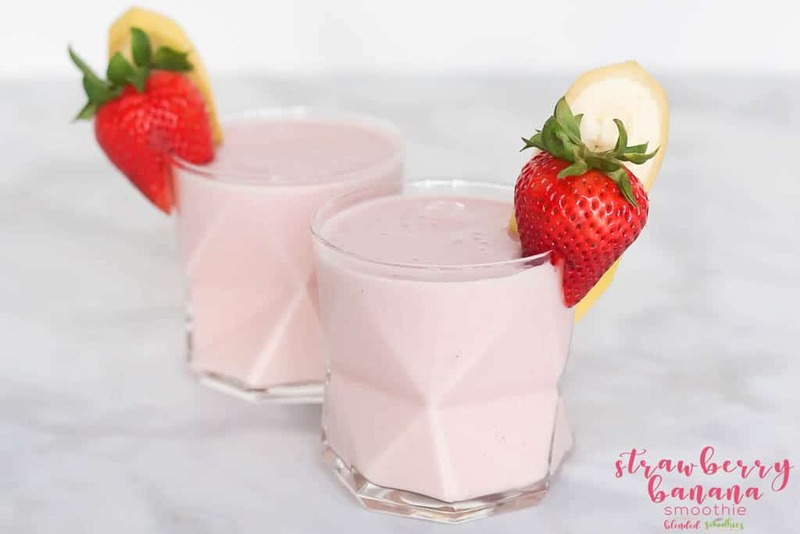 It is a great combination of fresh or frozen fruits and vegetables blended into a thick, rich and creamy breakfast that is healthy and filling! Smoothies are my favorite, but sometimes I am extra hungry and need something with a little more substance to it. That is where smoothie bowls do the trick! How do you make a healthy smoothie bowl? It’s easy! 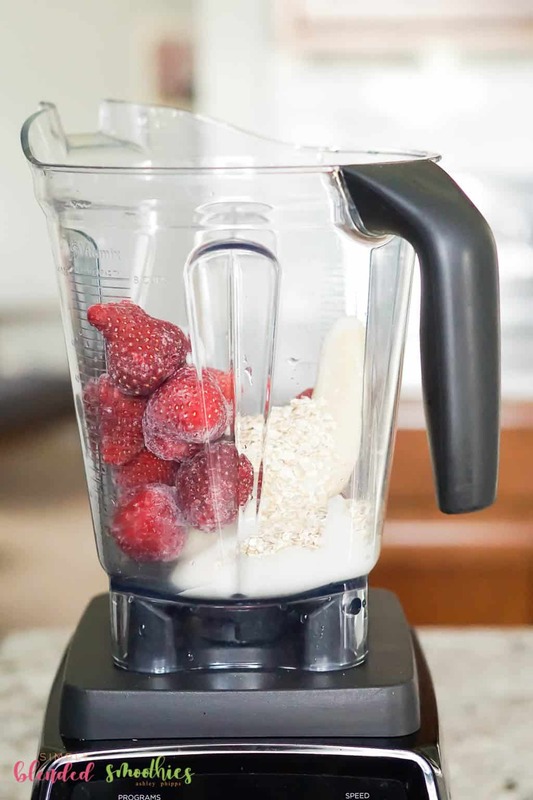 Simply combine fresh or frozen fruits and vegetables and a tiny bit of liquid in a blender and blend until thick yet smooth. Top with your favorite, belly-filling toppings and enjoy! 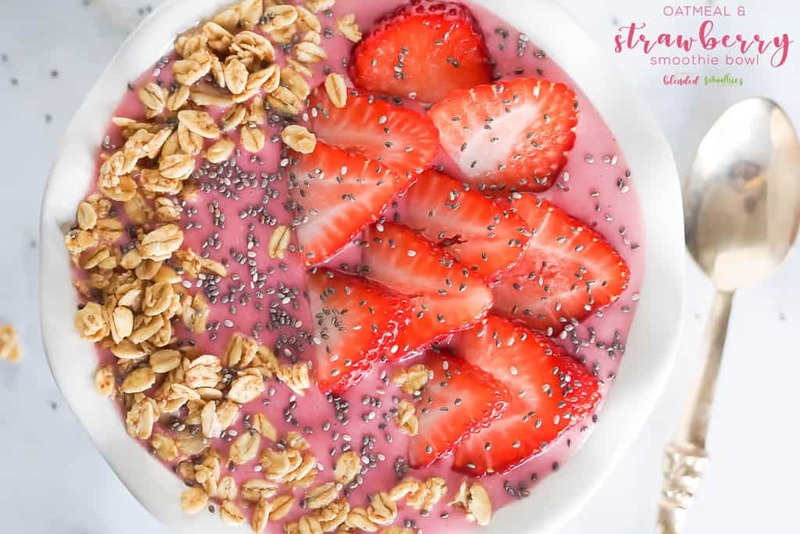 Snag my full recipe for this strawberry oatmeal smoothie bowl below. 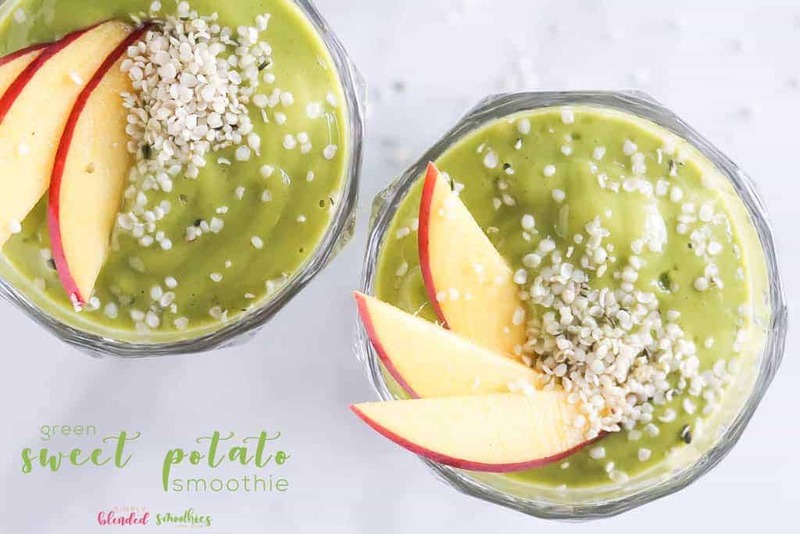 As long as you are putting healthy ingredients into your blender, you will end up with a healthy smoothie bowl. Easy as can be! 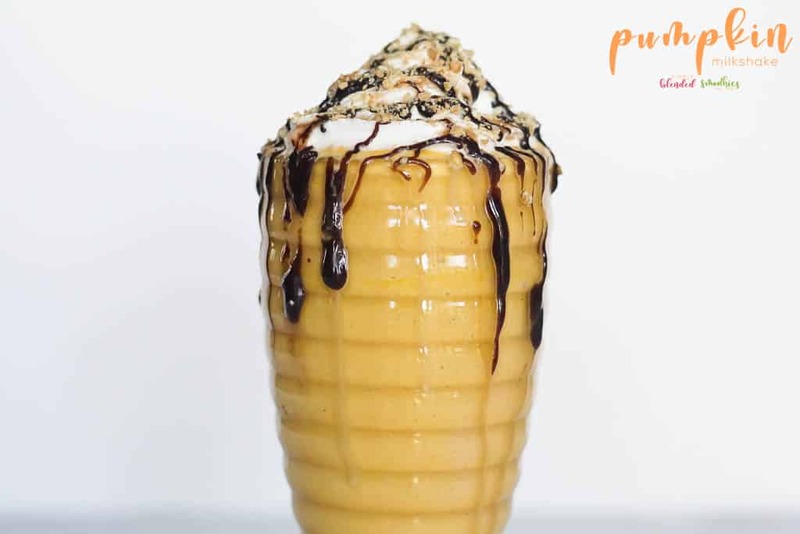 How do I make my smoothie bowl thicker? 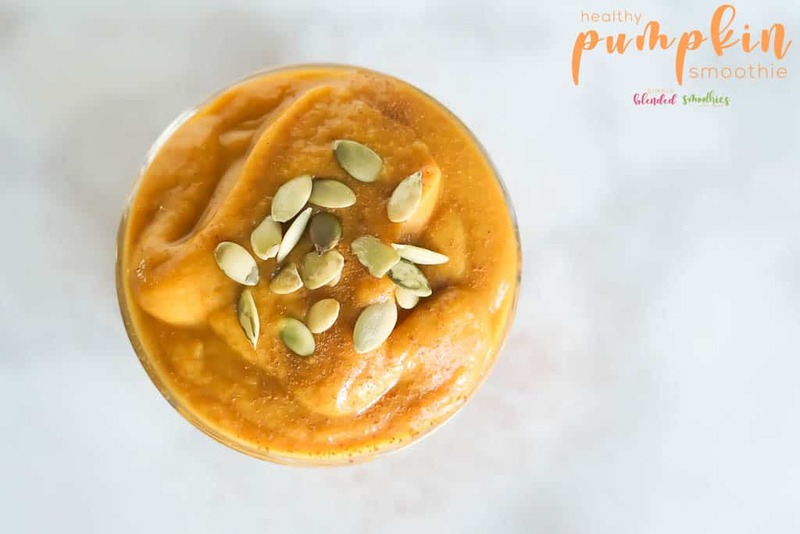 It is so easy to make your smoothie bowl too thin, but with a few tricks and tips, it is simple to make a thick smoothie bowl. Frozen fruit and less liquid make smoothie bowls nice and thick. Adding a few oats will also thicken up a smoothie bowl. What do you put on top of a smoothie bowl? There are so many options of what you can put on top of a smoothie bowl, the options are endless! I personally love adding toppings like fresh fruit, granola, nuts, coconut flakes, chia seeds, hemp hearts or bee pollen. But you can definitely use your imagination and top it any way you like! What do I use to make a strawberry oatmeal smoothie bowl? There are many blenders you can use for making smoothies and milkshakes, but I personally own the Vitamix 780 and think it is simply the best. I get smooth, consistent results every single time which is exactly what I want for all my smoothies! You can buy your own Vitamix 780 HERE. Place all ingredients in your blender. Blend on high until thoroughly combined. 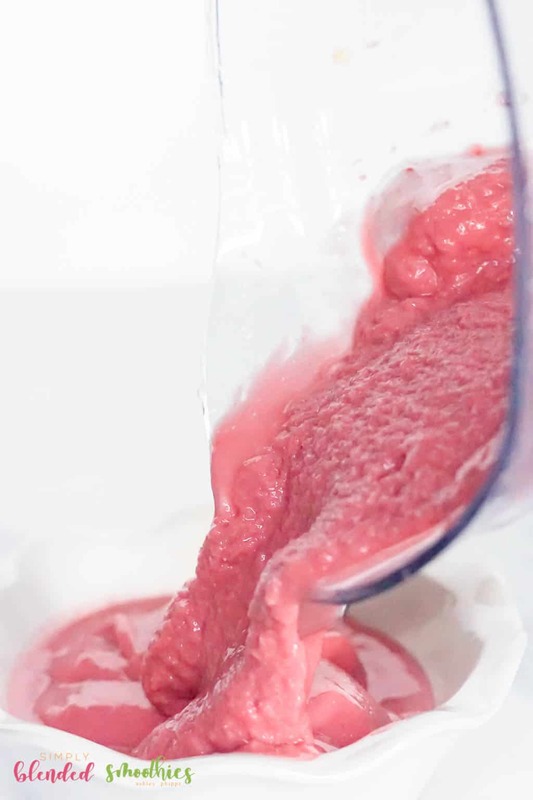 If your smoothie bowl is not cold enough or thick enough, add ice and blend until smooth. And top it with your favorite toppings. I love fresh strawberries, chia seeds and granola on top of this smoothie bowl. Enjoy cold and with a spoon. 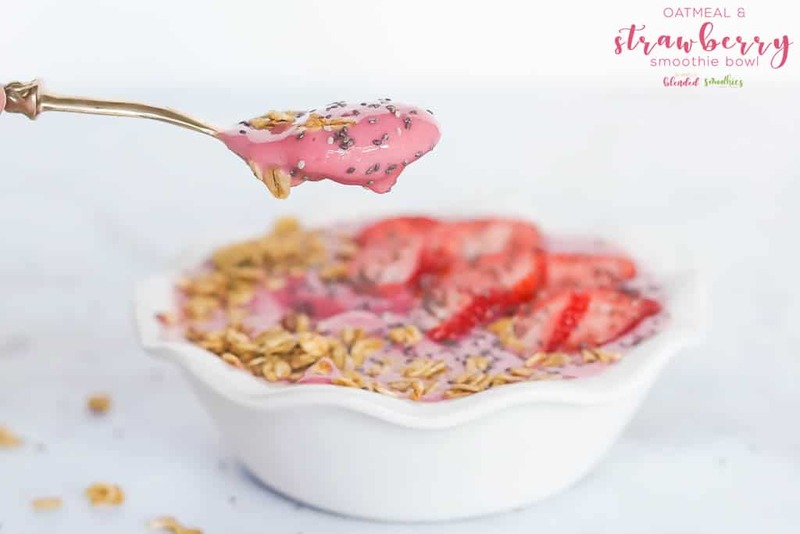 This delicious strawberry oatmeal smoothie bowl recipes is full of the yummiest ingredients that will leave your belly full all morning long.